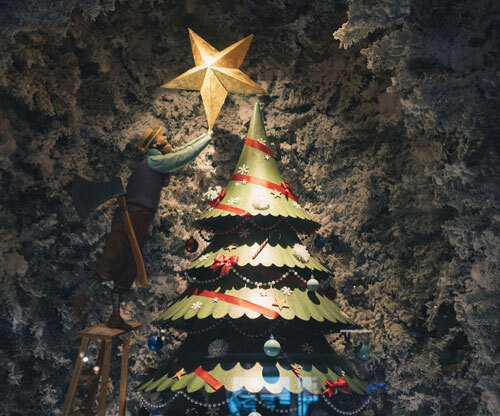 Just like how we decorate our homes during holidays, the businesses also dress up their stores for their holiday customers. 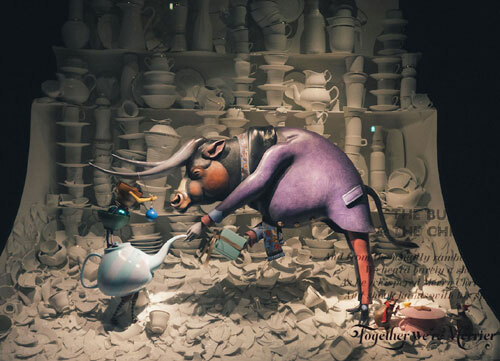 But some stores take it to the next level by making extravagant and expensive displays. 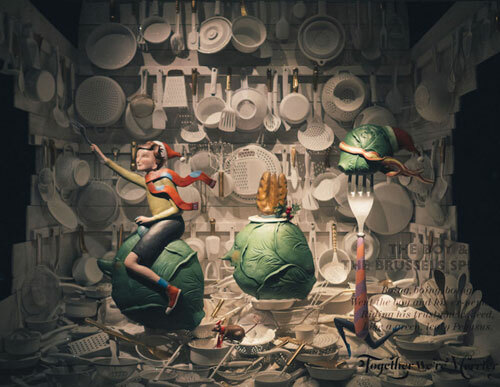 Fortnum & Mason is a London based brand famous for its grand and surreal windows. 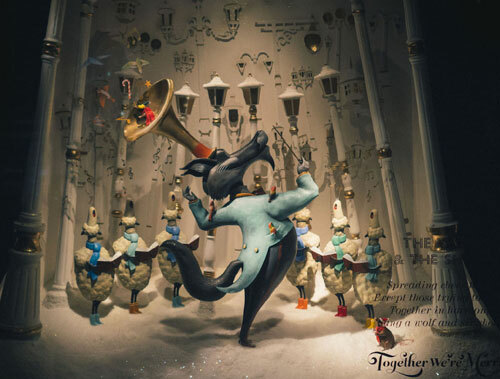 Their this year’s Christmas display themed "Together We’re Merrier" features hand-painted characters in very unusual pairings like " The Bull & The China". 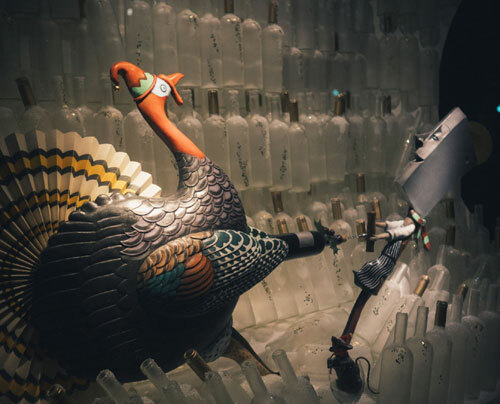 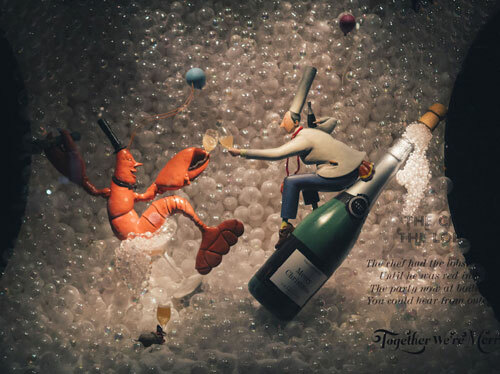 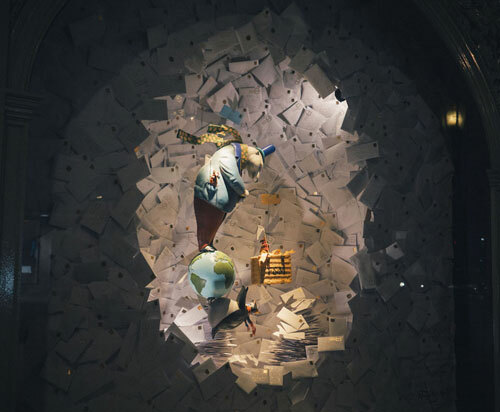 "The campaign was brought to life in 3D by a team of sculpture artists, who created large-scale models for window displays using fiber glass moulds based on Ryder’s artwork. 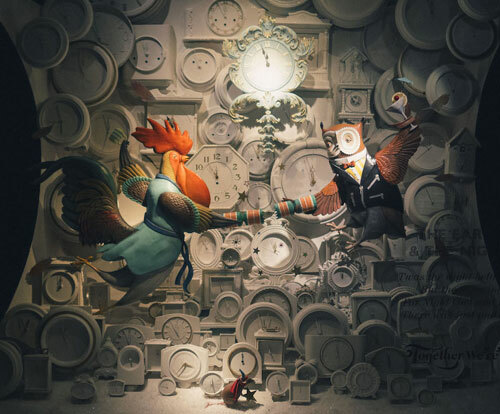 A team of theater make-up artists then hand-painted each model to match his illustrations" via Creative Review.